How can We Choose a Qualified SMT Factory? What is the qualified smt manufacturer? The so-called qualified smt manufacturer is actually the reliable factory. With the development of the smt industry, processing manufacturers abound, each smt factory’s strength is different, and the development status is also different. How can we choose the reliable smt factory? The following conditions must be followed to select the appropriate processing manufacturer. How many aspects sholud we consider? 1. Meet smt requirements. No doubt, this is one of the basic condition. There are a great number of smt factories that can basically reach such a working condition, but their real smt quality are uneven. Unsatisfactory smt quality means high failure rate, which will directly affect the performance of PCBA. Especially for high-demand electronic equipment, the quality of PCBA directly determines the life and performance of the equipment. This requires good smt factory must prove it. 2. Acceptable prices. Different smt factories have different processing prices based on their own profit margins, which are often in line with the smt capabilities. In other words, it’s definitely not true that the higher the smt price, the better the smt quality. We still need to consider the working ability of the smt equipment whether it is a high-end product or not. Getting the price in light of the actual situation, you can also determine the price after place the sample order, and judge if it is available to negotiate and get a reasonable price. Most of the times, although the smt price is no big difference for the sample orders, the cost of mass production will be a formidably difference. 3.Satisfied smt cycle. It means that the smt cycle is whether in an acceptable range. For instance, some factories only have a three-day cycle; While other factories have a one-week cycle. However, processing factories who focus on their credibility and service quality which often pay attention to meet the requirements of customers. 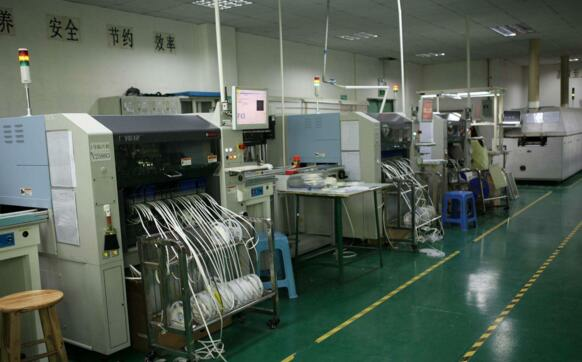 In fact, the smt factory will arrange the orders according to actual conditions. Obviously, it is also conducive to the promotion of work. Therefore, we also need to consider this part. After all, during the long-term cooperation process, nobody knows what kind of factors will be happened, what we can do is to cooperate with a good smt factory and reduce known problems as much as possible. In short, you can try to choose a qualified smt factory according to the above given three points. Last but not least, to build a good cooperation with reliable smt factory, you still have a comprehensive understanding to them from many aspects. Previous：How does the PCB Copy Board Company Copy the Board? Next：What are the Benefits about Manual Patch of PCBA Sample Order?